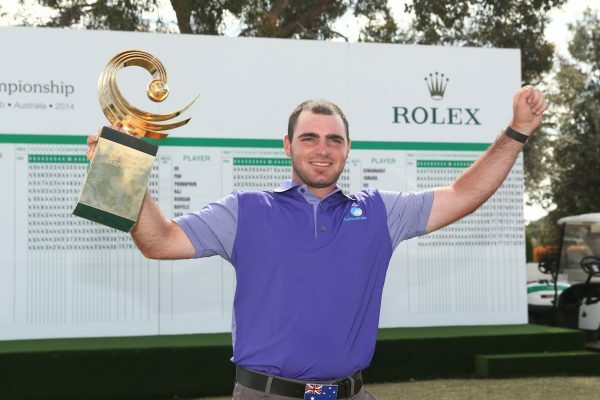 Australia’s Antonio Murdaca is headed to the 2015 Masters Tournament and The Open Qualifying Series this year after he claimed victory at the Asia-Pacific Amateur Championship (AAC) at the Royal Melbourne Golf Club. Murdaca, 19, from Adelaide, became the first Australian winner of the prestigious championship, closing with a steady 1-under-par 71 that left him seven shots clear of the field, the biggest winning margin in event history. Starting the final round eight shots ahead, the two-time Australian junior champion saw his lead shrink to five shots through nine holes when he took bogeys at the seventh and ninth, as Japanese player Mikumu Horikawa was threatening. It was the only time he felt any pressure, but Murdaca immediately responded with a 20-foot birdie on the tough, par-4 10th, then two pure shots at the par-5 14th set up another birdie to get his advantage back to seven shots. With his coach Gareth Jones on the bag, he never seemed flustered or nervous, although he may have been churning inside. He made a string of pars to finish, so that by the time he hit the green in regulation at the 18th, he was prepared to acknowledge that he had won, and waved to the big crowd surrounding the green. “When I hit that shot, I felt some tingles down my spine,” he said. Murdaca tapped in for a four to finish at 13-under with rounds of 69-68-67-71, with Horikawa outright second at 6-under-par. Australians dominated the leaderboard, with long-hitting Todd Sinnott third at 5-under and Ryan Ruffels racing home with a final-round 68 to finish fourth at 3-under. China’s Zecheng Dou and Tianlang Guan tied fifth with Chinese Taipei’s Cheng-Tsung Pan at 2-under. Horikawa had a brilliant weekend with scores of 67-69, and his second place puts him into The Open Qualifying Series this year. The organisers of the Asia-Pacific Amateur Championship at Royal Melbourne Golf Club have pronounced it a resounding success, with big crowds watching the final round. Augusta National Golf Club Chairman Mr Billy Payne, who joined other Augusta members on the hallowed turf of the Melbourne Cricket Ground on the Saturday night for a commemorative photograph with the players, said the club intended bringing the event back to Royal Melbourne in the near future. Mr Payne said Murdaca would be adopted by the membership and the fans at Augusta National when he steps out in the field next year, just as previous AAC winners were. “It makes us feel wonderful,” said Mr Payne. “Quite honestly, I can tell you that when one of these young men come to Augusta and play the Masters every year, the membership and I think the fans immediately have a favourite. I think we are so proud of them, they’re like our children. The 2015 AAC will be played at The Clearwater Bay Golf & Country Club in Hong Kong from 1-4 October next year. 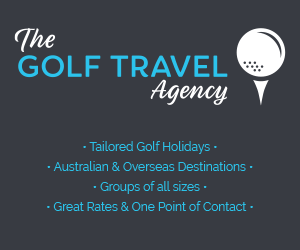 For more information about the AAC, please visit www.aacgolf.com.